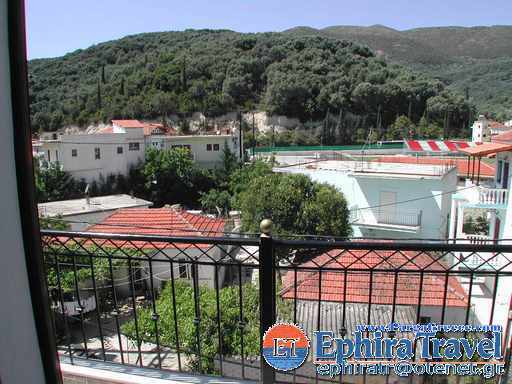 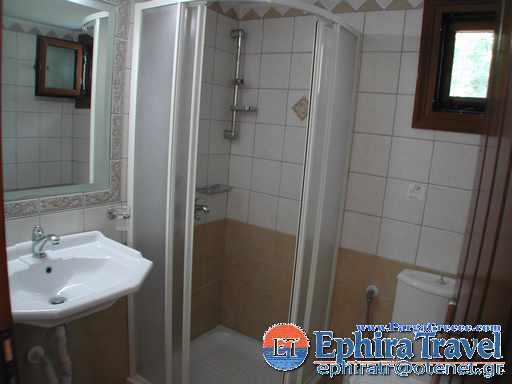 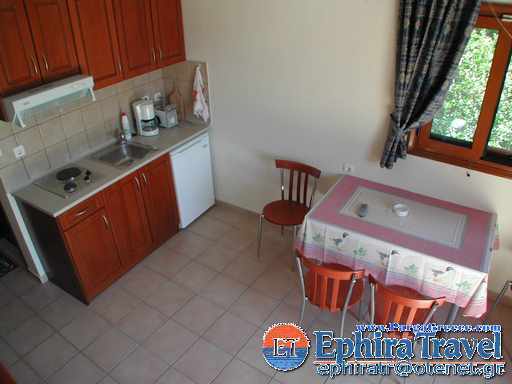 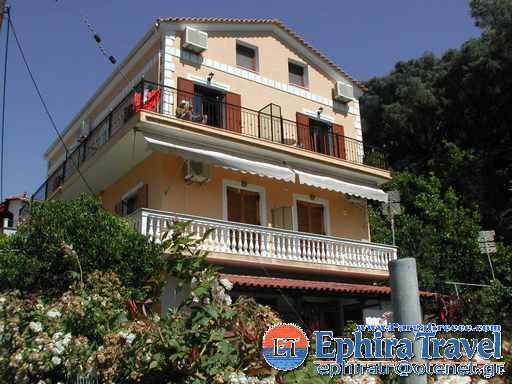 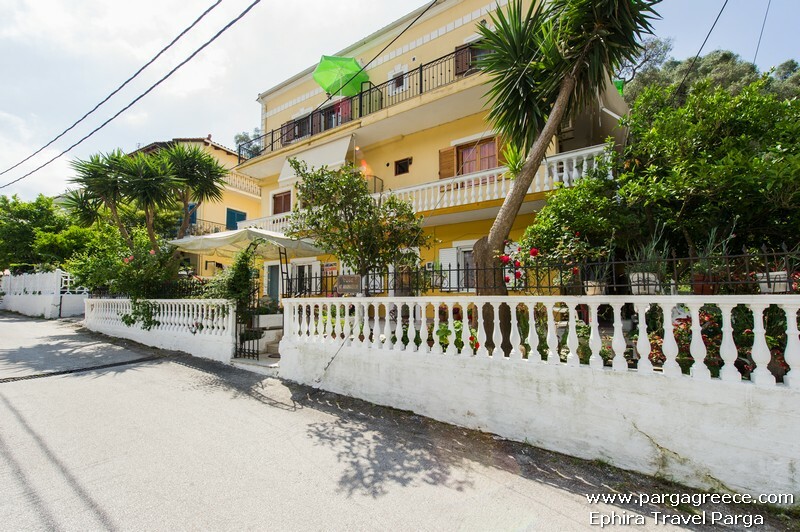 N0 12-MAISSONETTES-APARTMENT CLOSE TO THE BEACH AND THE CENTRE OF PARGA (EXCELLENT VALUE)- parga. 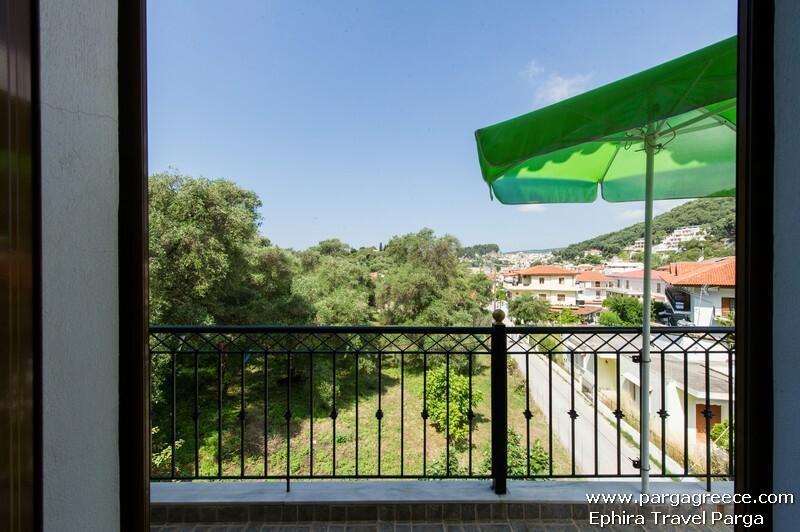 Distance from the center* 250 m.
Distance from the beach 120 m.
Villa,family House is situated in a quiet area of Parga only a few minutes walk from the centre of Parga and only 120 meters from Piso Kryoneri beach and also from Kryoneri beach (central beach of Parga). 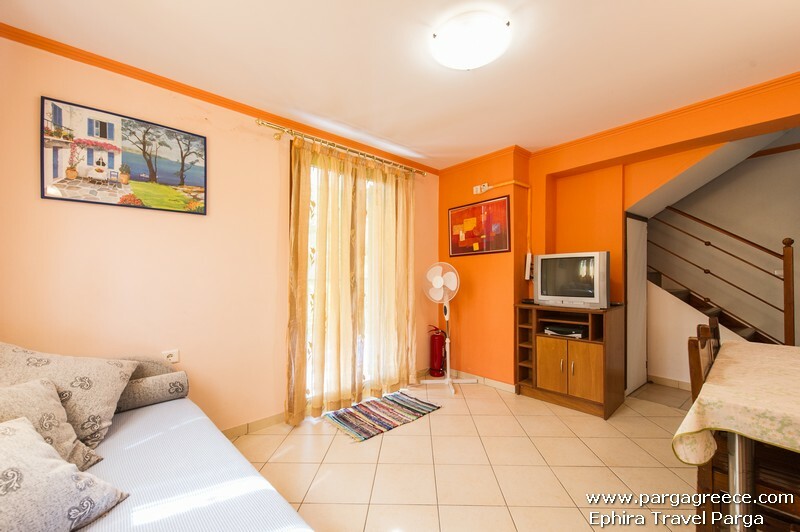 Apartments and Maisonette style apartments are new built and offer a high quality with kitchens, with air-conditioning , satellite television , private bathrooms and with private parking. 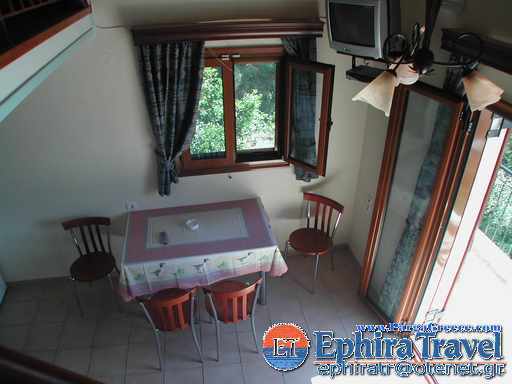 All three Maisonette style apartments (No 1 called Parga, No 2 called Beach, No 3 called Olive) ,are ideal for couples or friends and also families with one or two children and each Maisonette style apartment, consists of one separate bedroom (on the top with a double bed) and below is the full furnished kitchen/small living room (with dining table with the extra beds). 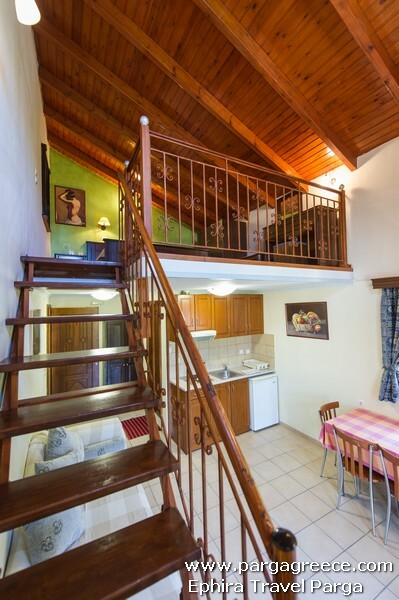 All three Maisonettes offer air-conditioning , satellite television, private bathroom, kitchenette,Internet Wi-Fi and private balcony. 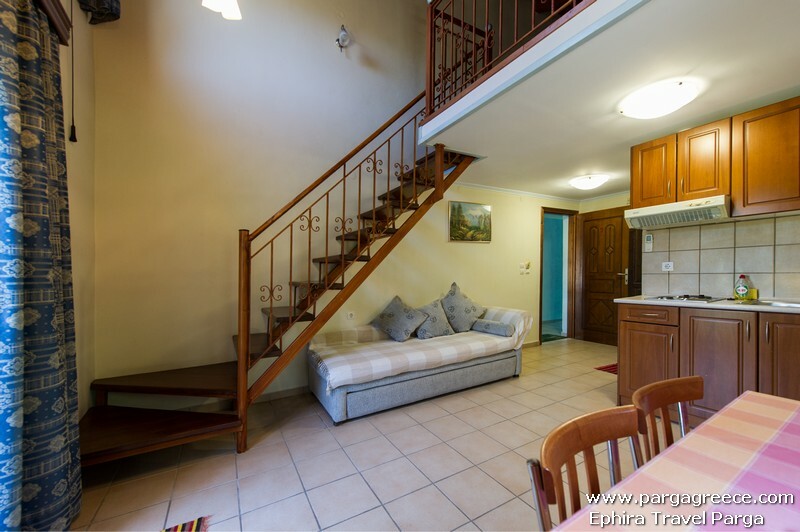 The bigger Apartment No 4(Called Elly) consists of two separate bedrooms (on the Top) and below is the full furnished kitchen/small living room and it is ideal for two couples or friends and also for families they want more space as it is bigger than the 3 other Maisonette style apartments. 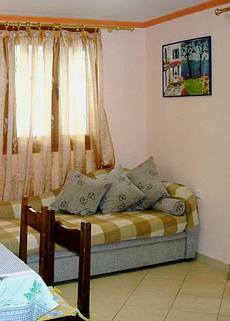 Elly apartment offer air-conditioning , satellite television, private bathroom, kitchenette ,Internet Wi-Fi and private balcony. 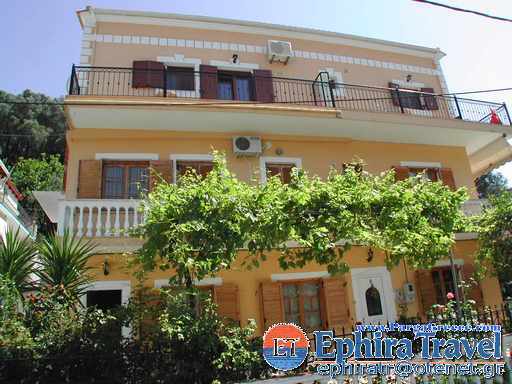 Around Villa Alexandros there is a small garden with flowers and trees. 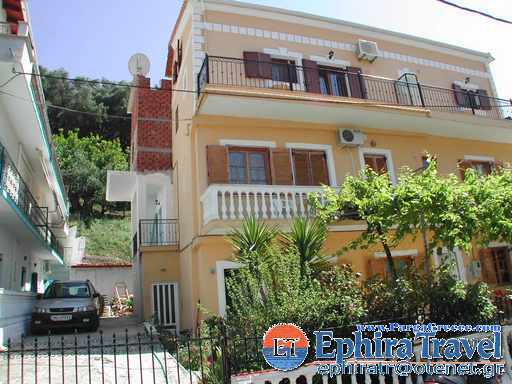 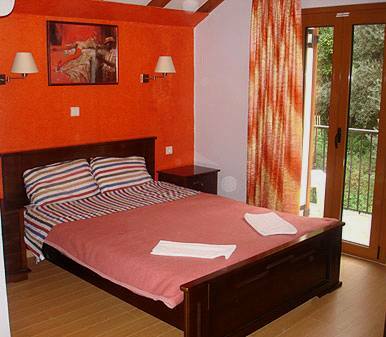 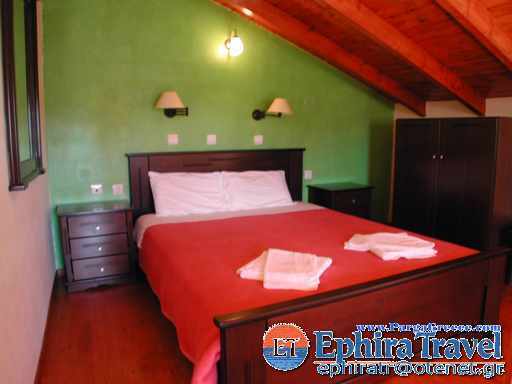 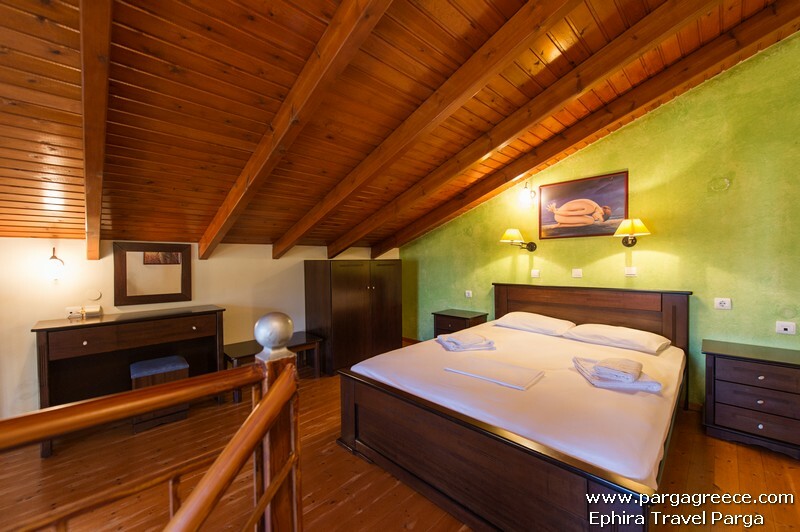 Ideal for all guests ,they prefer to be in a quiet area, close to the beaches and to the centre of Parga. 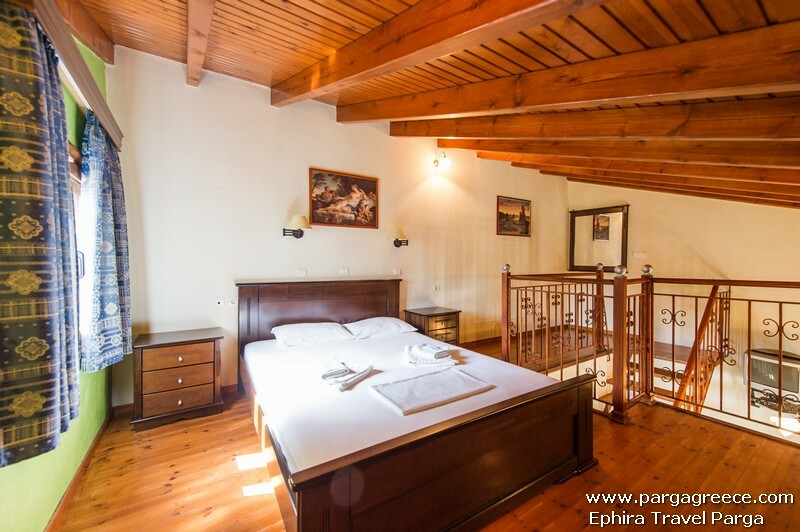 Pets are welcome in this accommodation, unless they do not disturb the other quests and of course any kind of damage will be paid directly to the owner.